Virginia Commonwealth led by as many as 18 points in the first half, and then withstood a furious second-half Kansas rally to shock the top-seeded Jayhawks 71-61 on Sunday and advance to the first Final Four in the school’s history. “We knew Kansas was going to make a run in the second half, but we never gave up the lead, and our guys kept fighting,” VCU coach Shaka Smart said after the historic upset. 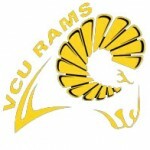 VCU (28-11) became the first team to win five games to reach the Final Four after being forced into a First Four matchup as one of the final four teams to receive an at-large bid into the tournament as the #11 seed in the Southwest Region. The Rams played again like the higher seed on Sunday, dominating the first 20 minutes of play en route to posting a 41-27 lead at the halftime break. A 12-2 KU run cut the lead to four at 43-39 at the 15:11 mark, and a Tyshawn Taylor three-point play brought the Jayhawks to within two at 46-44 with 13:13 left. Smart went to a zone defense at that point to try to slow Kansas down, and the strategy worked as VCU held Kansas to three points over the next 4:45 during an 11-3 run that put the lead at 57-47 on a Jamie Skeen dunk. A pair of key threes by Joey Rodriguez and Bradford Burgess provided some needed breathing room as Kansas made one last run to cut the lead to 65-59 with 1:43 to go on a Markief Morris layup, but the Jayhawks would get no closer. “We got prepared well by Coach. He prepared us really well, and we just went out there and executed what he told us to do,” said Skeen, who led the Rams with a career-high 26 points. Brandon Rozzell scored 12 off the bench for VCU, which will play Butler next weekend in the national semifinals. Marcus Morris had 20 points and 16 rebounds for Kansas (35-3). The Virginia Commonwealth win completes an odyssey through the Southwest Region that included wins over Southern Cal from the Pac 10, Georgetown from the Big East, Purdue from the Big Ten, Florida State from the ACC and then Kansas from the Big 12. “I’m so happy for all of our guys and all of our fans, everyone that believed in us all the way. We had to win five games to get here, but we did it,” Smart said. Story by Chris Graham. More sports at VaSportsOnline.com.